You've seen "The Clock" at WSOP, on WPT, in the movie Lucky You, and on TV specials. The pros depend on The Clock poker tournament software for their poker tournaments, and now you can too! 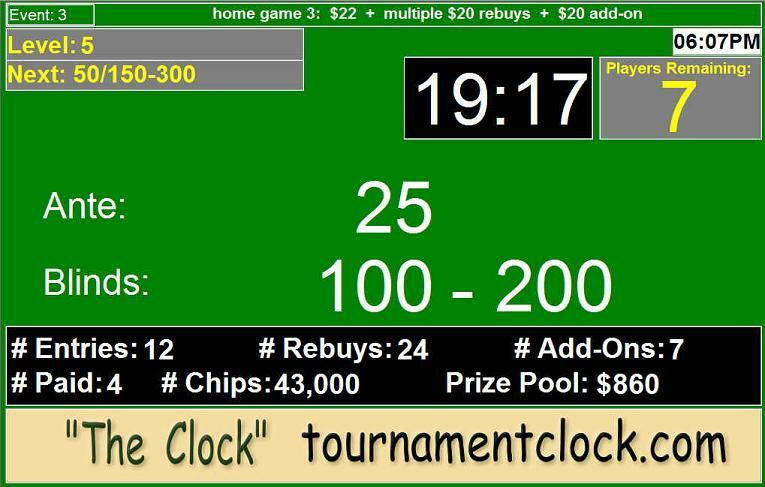 Introducing "The Clock" Home Edition, based on the same great features from the Club Edition, but geared towards your home poker tournaments to ensure they run smoothly. 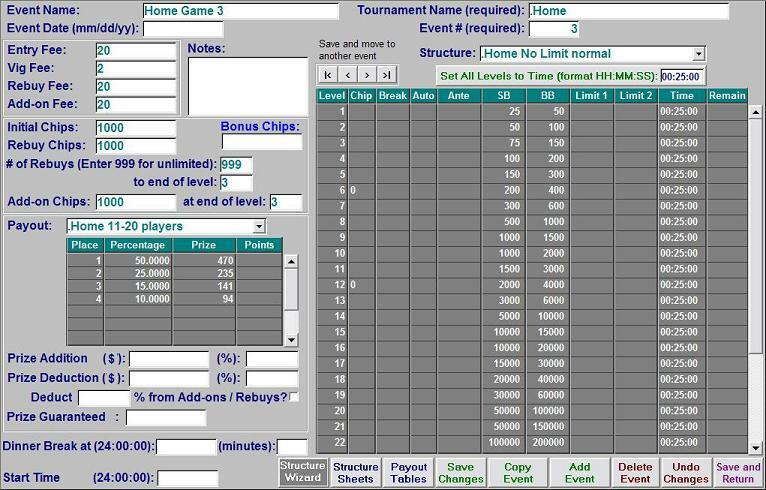 The Home Edition poker tournament software includes an event wizard. Simply enter a few details, such as the number of players, how many rebuys and add-ons you expect, how long you want your poker tournament to last, then click a button to automatically, and instantly, create the structure you need. Another great feature lets you tell The Clock how many, and what color poker chips you own, then display the chip denominations on The Clock screen.